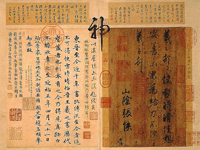 Types of Art Appraisals; Types of Values; Chinese Art Adviser & Art Appraiser by Dr. Wei Yang, A.S.A. Making an appraisal decision based on limited information is hard but necessary. A value estimate based on facts and evidece prepared by a qualified art professional helps you achieve your goal with knowledge & confidence. Considering a 3-step-approach (Preview, inspection & appraisal) to appraisal is cost effective. Preview identifies the artwork, its artist & artistic merit. Inspection verifies value indicators or assess the quality of your property for appraisal. Appraisal helps you understand the nature of your property and its potential. Knowledge, persistence and patience sell art. Selling art is daunting & complicated. Before you approach the market, preparing yourself and your property for sale is crucial. Be realistic. Receiving higher or lower offers is normal. Rejection is part of the game. Be diligent. Finding the most appropriate market for your property forms the base for a successful sale. For example, 1st-tier auction house market (Christie's & Sotheby's) is not suitable for selling property of an average quality, since these agents aim for high-end desirables & higher profit. Be Insightful. Knowledge of the advantages and disadvantages of your chosen market and the strength and weakness of your sales agent prepares you for the market uncertainties. Regional auction houses usually have limited market exposure, resources, and clientele, often resulting in low estimates of the market confidence, unpredictable offers or no offer. Be Investigative. Understanding the marketing strategies of your representing agent (auction house, dealer or sales agent) and its expertise or sales experience on your type of property enforces a proper representation. An up-to-date appraisal serves your sales needs. If you have an appraisal of 3-5 years old or older, having the appraisal reviewed by a qualified Asian art appraiser or conducting some research on your own is recommended. Educating yourself about the changed market or possessing the most up-to-date sales information on your art work prior to entering the market, have impact on the final sale. Having realistic expectations from the sale is also wise. Don’t underestimate the potential of an effective online sale. It is a tested marketing strategy. Art sales statistics indicate that art works under $15,000 are appropriate for cyber sale. Sometimes, posting art work at a popular online sales venue might be more profitable than consigning it to auction houses or dealers. 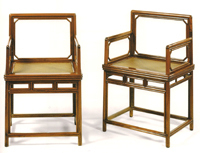 A well-documented Chinese art collection helps establish the standing of your collection among the best. A clearly-defined Chinese art collection says a lot about you -- your personal quality, aesthetic taste and financial strength. We help our clients understand Chinese art traditions, techniques & aesthetics. 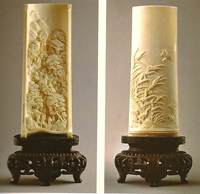 If you have questions about Chinese art or need Chinese Art Consultation, please Contact Us. Our Chinese art specialist, Dr. Wei Yang (Ph.D. in Chinese art, M.A. in Buddhist Art, Accredited Senior Appraiser of Asian Art) will serve as your expert eye on collecting, marketing & representing your Chinese art collection. Research & Prepare a well-researched catelogue. 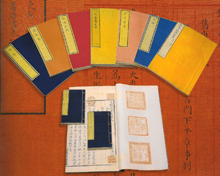 Document your Chinese art works, register each work following the museum identication standards. Establish provenance (research previous owner, biography of artist, etc). Prepare an appraisal for insurance purposes. Advise owners on how to handle your art works with care in terms of storage and air circulation. Recommend adequate professional solutions if your art work suffers any physical damage or deterioration. 1.Contact Us with your questions. Please send us any visual materials you may have about the art object, or the artist in question. We will make a proposal (consulting fees, payment structure, and completion schedule). 2. Be specific about your needs. (For example, "Deciphering an artist's signature or a seal.," or "Brief biographical information about the artist.") A detailed request will be very helpful. 3. Pay Consulting fees: If our proposal is acceptable, please send a retainer (personal check or money order) made out to WEI YANG ART, LLC, 274 Nassau Street, Princeton, NJ 08540 to engage our services. 4. Receive Information: Once the final balance is paid in full, your requested information will be sent to you via either e-mail or USPS depending on our agreement.